If there's one thing that first-time directors and brothers Josh Baker and Jonathan Baker are good at, it's creating a compelling and interesting story in a short amount of time. Their first feature-length film Kin is based on their short film "Bag Man" and it was good enough that it was optioned for a longer version. 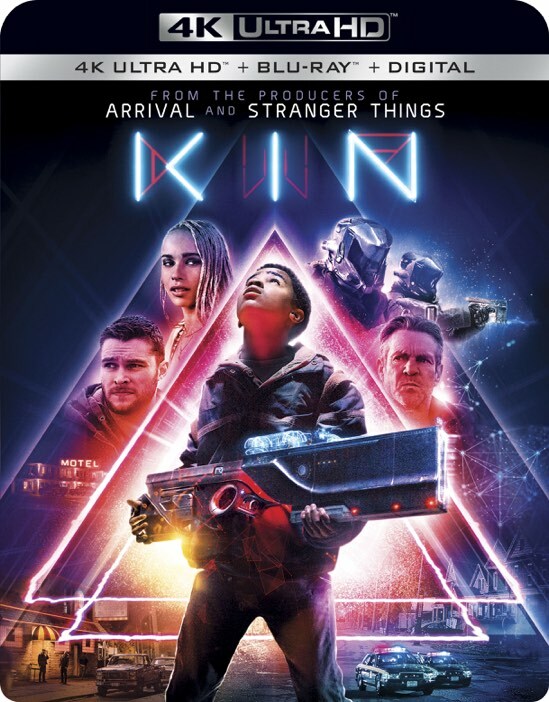 Likewise, if you simply watch the trailer for Kin, you will come away with awe and expectations that it could be something akin to this generation's E.T.. Spoiler alert, it's not. In fact, it's far from that and it underwhelms the expectations set by the trailer so much that perhaps the Baker brothers might want to consider sticking with the short subject medium. The story follows a young man recently released from prison who tries reconnect with his father and adopted younger brother. Unfortunately, things from his past encroach upon him and he's unable to turn over a new leaf. Meanwhile, the adopted brother has his own thing going on that involves finding a massively powerful weapon that may or may not have extraterrestrial origins. So, after watching the trailer, you're all in, right? Yeah, same here. I was expecting everything from a slow-burning science fiction stunner to a family drama with a bit of mystery thrown in. What we ultimately get is a film with an identity crisis. It tries so hard to establish the family dynamic, but in the end, the film just pulls the rug out from under us and the audience is left scratching their heads. While the trailer is heavy on the science fiction stuff, it's more spread out and sporadic in the movie. In fact, almost all of the fun stuff is literally thrown up by a single character during one scene of exposition. Other than that, we are left with a mysterious MacGuffin and very little to go on for 95% of the film. I won't say too much more about the odd ending so as not to spoil it in case you are somehow intrigued by my vagueries and seek out Kin on your own. To be honest, it felt like this film was written to be the first part of a larger universe, but after the film's financial failure, it is highly unlikely that we will ever see any more of Eli's journey. In a way, this is a shame because I have to admit that I'm at least somewhat curious where the next film would take the characters. There are so many unanswered questions and oddities that might eventually make sense if they were to flesh out the story. That said, Kin should serve as a warning to those screenwriters who think they are too clever to write a complete origin story. Saving plot twists and explanations for future films might be an enticing proposition, but you still have to get their first. 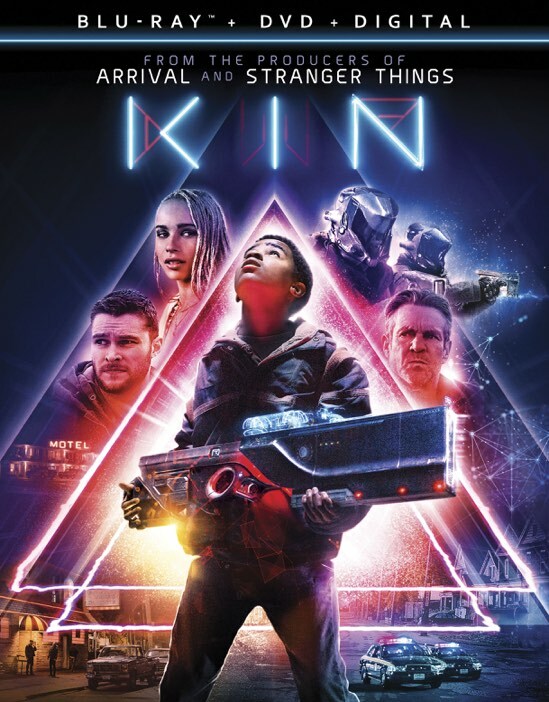 As a result, Kin is left as a film that fails to live up to the expectations of the trailer. It's also a movie that I believe makes hasty choices that ultimately waste top talent. Dennis Quaid is an American icon and while he's the glue holding the first act together, I just wish he could have helped to do some lifting towards the end. Likewise, Zoe Kravitz' stripper with a heart of gold is also criminally underutilized. I suspect that her character would have a twist or two in store for her in future installments, but again, we won't ever get to discover them now. The scenes that she is in though are some of the best during the road trip/family-bonding parts of the film and she almost single-handedly saves the movie. Ultimately though, the film sputters out by the end and the crazy twist at the end is more frustrating than awe-inspiring. Again, I don't want to say too much here, but twists like this one need to be earned organically and it just doesn't. As it stands, the film ends on a bit of a cliffhanger where many questions are left unanswered and new ones only muddy up the previous 90 minutes or so. I will point out that the special features on the Blu-ray combo pack were exemplary. Not only is there an 8-part documentary and 10 deleted scenes, but they also include the original short film "Bag Man" as well as an hour-long discussion about Special Features with some of the industry's biggest and brightest, including Kevin Smith. It's really disappointing that Kin didn't live up to expectations, because it's pretty obvious that there's an interesting story to be told here. Unfortunately, they decide to hold back the best parts for future installments that we will never see. 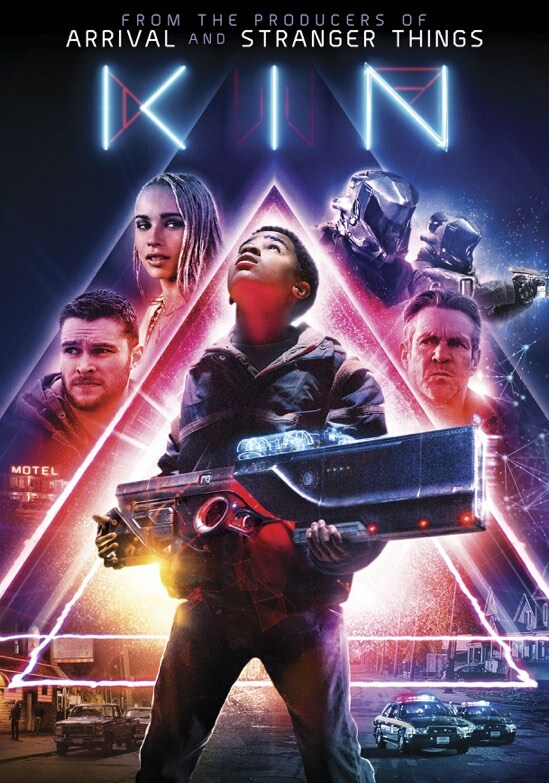 Kin is now available on 4K UHD, Blu-ray and DVD.